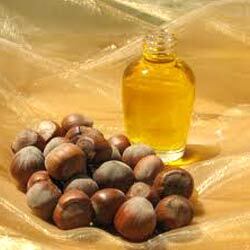 Hazelnut oil, pressed from hazelnuts, is strongly flavoured. The nut falls out of the husk when ripe, about seven to eight months after pollination. 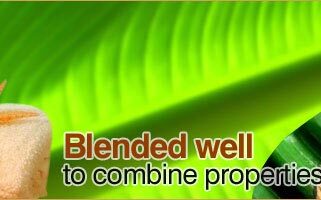 This oil is deeply penetrating and stimulating to the circulatory system. 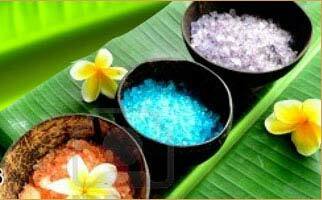 It helps to tighten and tone the skin, and is applicable for all skin types. Hazel nuts oils contain Vitamins A, B, D, E and various other minerals. Hazelnut oil acts as an excellent emollient and moisturizer because it has a number of essential fatty acids such as linoleic acid, which can rehydrate the skin. So, this oil is extensively used in treating dry skin. Moreover, this oil is very light and easily gets absorbed into the skin. 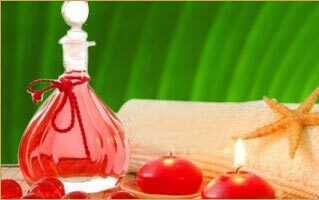 The healthy and rejuvenating properties of hazelnut oil make it perfect for body massage. Used as carrier oil in aromatherapy. Hazelnut oil is also a rich source of vitamin E. The anti-oxidant properties of this vitamin helps in solving many of the problems associated with ageing.